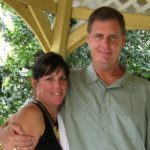 In 1994 Peter and Heidi Pierce established Amherst Painting Company, LLC. Twenty-three years later their company is still going strong. Why Amherst Painting Company, LLC? Because quality matters and quality lasts. With Amherst Painting Co., you are guaranteed the highest standards whatever your needs may be. Every project is special to us, whether it’s your home, your business, or something else. Decorating is an investment for the future – with Amherst Painting you can be assured it will be money well spent. Our prices are reasonable and we produce consistently high quality work. At Amherst Painting, we put you first. By listen closely to what you require we can give expert guidance and advice on achieving your goals. We respect that your time and home is valuable. Our aim is to finish on time, every time. If you have particular needs, we want to meet them. We’ll help you stage your house for re-sale or help you create the home of your dreams. Finally, after consulting with you, we will tailor a proposal that makes sense for you. Over our years in business we have completed more than 2000 interior and exterior projects. The value we deliver and our commitment to quality have given us an excellent reputation in the painting industry in Southern New Hampshire. We moved to Amherst 28 years ago to raise our family. Both of us love what we do and thoroughly enjoy meeting and working with the people in the community and the surrounding towns. Thank you for putting your trust in us for over 23 years! Houzz is a website and online community about architecture, interior design and decorating, landscape design and home improvement. The Houzz platform and mobile apps feature photos, articles, product recommendations, and a user forum. Check them out! 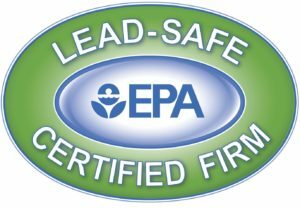 If your home was built before 1978 it is vital to ensure that the you are working with is EPA lead certified contractor. 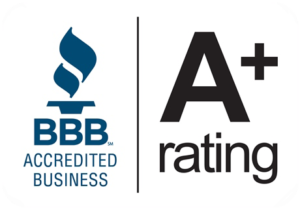 Amherst Painting Co., LLC is a EPA RRP certified contractor. When you work with Amherst Painting Company, you know your lead-based paint project will be handled in a safe manner that complies with regulation from the EPA. Peter Pierce is a lead based paint certified renovator. We train everyone who works with us in the proper techniques for dealing with lead based paint to keep everyone safe.